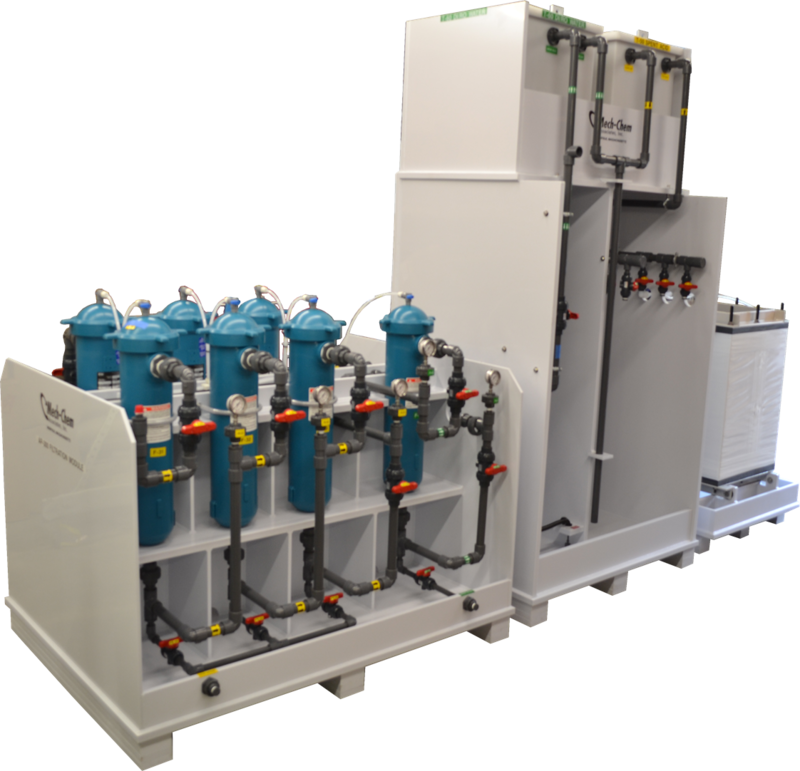 Mech-Chem Associates, Inc. has refined and improved their AP-300 series Acid Recovery System. 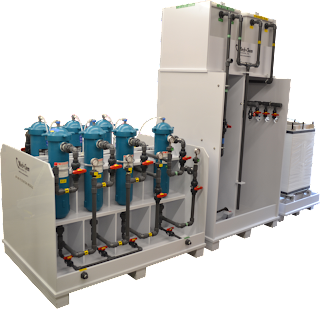 The AP-300 system can process and purify 300/gal/day of spent or waste acid solution. 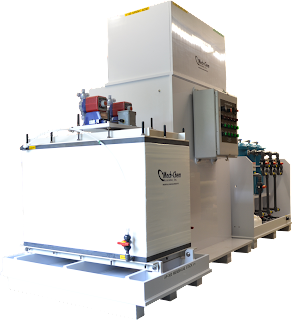 The new design allows the system to be expanded to 600/gal/day and 900/gal/day by the addition of 1 or 2 additional diffusion dialysis membrane stacks. This membrane technology is used for acid recovery applications such as plating baths, anodizing baths, acid pickling and metal finishing applications. 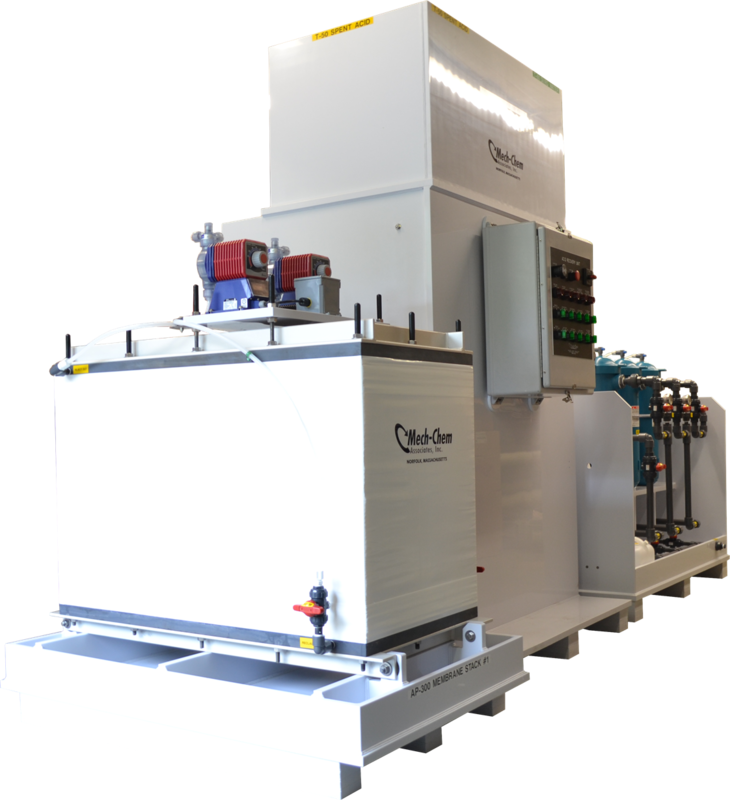 finding new applications for recovering and purifying spent or waste acid streams in mining applications and battery acid recovery.